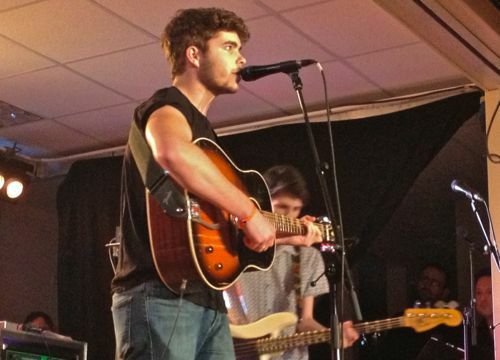 After 8,000 entries, filtered down by 40 music bloggers (including neonfiller.com) the Glastonbury Festival’s Emerging Talent Competition reached its live finals stage at the weekend, with eight acts vying for the top prize of a main stage slot. 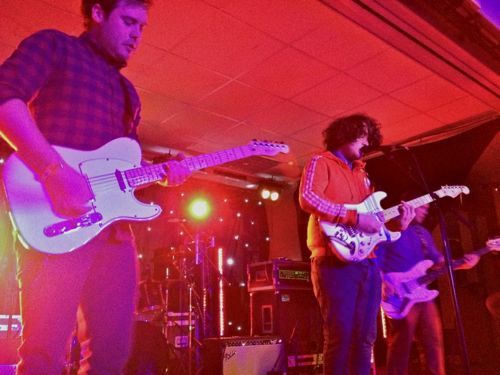 In what is arguably the best UK battle of the bands final, each had 20 minutes to impress a judging panel made up of Glastonbury festival bookers and national music journalists as well as entertain a packed crowd at Pilton Working Men’s Club. It’s a tough ask for them but also for the judges as each act excelled at their chosen genre. In the end the final choice came down to taste and spotting that spark of originality which the winner Bridie Jackson and The Arbour had in spades. 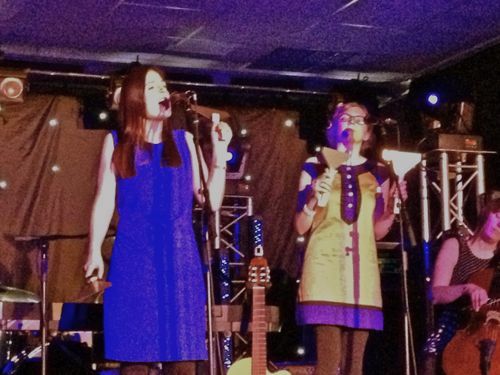 From Newcastle they are one of the most exciting acts in the modern folk scene, with Jackson’s north east of England lilt reminiscent of Northumbria’s The Unthanks and with an epic delivery that left the crowd duly impressed. Armed with violin, cello, some percussion instruments that looked like wallpaper strippers and Jackson’s superb voice their take on folk is likely to go down at storm at the Festival, whichever stage they are picked for. Tracks such as The Scarecrow will stick long in the head. Jackson’s band were first on and it was always going to be tough to follow them. Lillian Todd Jones was second up and her band pulled what turned out to be the short straw. While she is a confident performer I was left unsure what direction she was going in. Starting with a soft Allo Darlin’ ukele track it started well as an indie band, but as her set veered into 80s rock at times I was reminded more of 80s artists like Toyah Wilcox and Hazel O’Connor. As a judge during the early stages of this competition, where us bloggers narrowed down the 8,000 to a long list of 120 acts before the eight strong shortlist was compiled, I had one rule; if it sounds like Oasis or Mumford and Sons they are rejected. It’s a good rule of thumb and ensures only the most original acts get through. Port Isla and final act of the night A Band Called Wanda proved that not all judges had the same criteria. Port Isla were the better of these two folk rock acts, with a 1950s rock and roll influence and a lead singer with a belter of a voice they were good but not original enough to oust Jackson from the judges’ attention. Ireland’s A Band Called Wanda skilfully blended the music of Keane with Mumford and Sons, which is great if you like those two bands and plenty do. However, it is a less successful combination though for a band looking to win this tough competition. Rhys Lloyd Morgan is a supreme finger picking guitar playing singer songwriter in the mould of John Martyn or Bert Jansch and put his acoustic Gibson guitar through its paces. He has potential in abundance and when, like The Tallest Man on Earth has done, he finds his own take on folk he will surely have a fine career ahead of him. 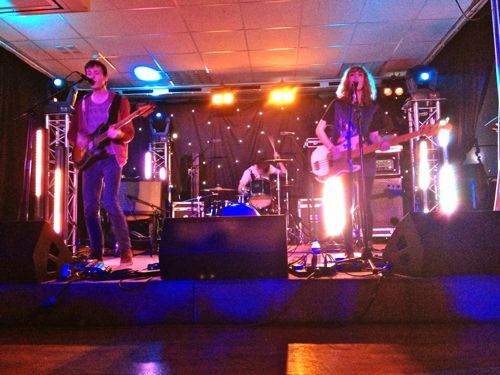 As an indie and alternative music focused website Black Balloons, from Scotland, proved a welcome fillip. In their lead singer they have one of the great voices in music, blending the alternative power of John Paul Pitts from Surfer Blood with the great rock voices of Joe Cocker and Paul McCartney (yes, kids McCartney has one of the best rock voices around). A real challenge to Jackson had emerged. The judges later revealed that three other acts on the night had also secured slots lower down the bill at this year’s festival. I’d be amazed if the ballsy Black Balloons were not one of them. Revelation of the night came from The Dancers, a Brighton trio originally from France that performed an outstanding masterclass in indiepop, reminiscent of their countrymen Phoenix mixed with the male female vocal interchange of Magnetic Fields. One of my tasks this month will be to get in contact with them and review the bejesus out of their releases. Great band. Rapper Isaiah Dreads is well out of my field of expertise, but even an old indie kid like me can appreciate that this 15 year old is something special. His confidence and vocal delivery was ridiculously self assured for a teenager. This boy will go far. As the evening drew to a close it was time to reveal that Jackson had beaten off all comers to win tonight’s prize. But as her name was called out she was nowhere to be seen. 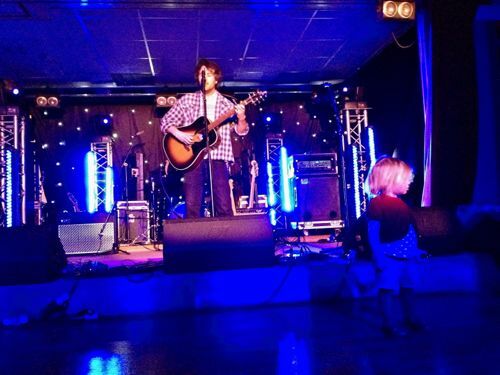 Eventually she and the band staggered onto the stage. An incredulous Jackson, who turned 30 that very night, confirmed: “We are very drunk and we are going to get even more drunk now.” What better hangover cure the next day to know you are playing a main stage at one of the world’s biggest and most famous festivals.